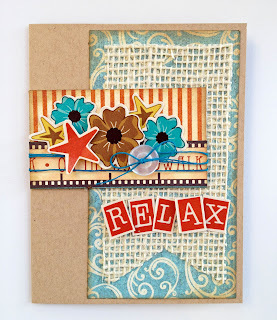 Liz's Paper Loft: Monday Hop ~ Relax! 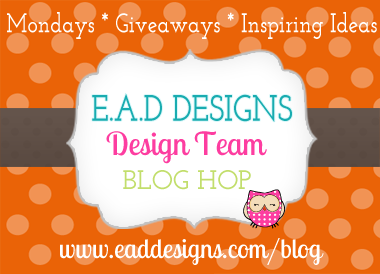 Happy Labor Day and welcome to EAD Designs Monday Blog Hop! You should have arrived here from the fabulous Julie Ranea. If you just popped by to see me please head over to EAD's blog for the start. Be sure to leave a comment along the way so you can be eligible for this week's giveaway! The hop doesn't officially start til 8am MST. I use a die to cut the burlap! 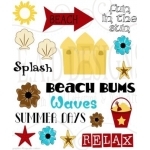 The stickerz are on clear background, so by putting them on a sandy color cardstock it gives them a softer look. I hope you have a beautiful day, we plan to visit friends out of town! LOL What a time you had getting that photo! And you are right.. the photos turned out really nice!!! Your card is beautiful!! Love the burlap! This is great Liz!! I have the worst time taking pictures but yours turned out awesome! 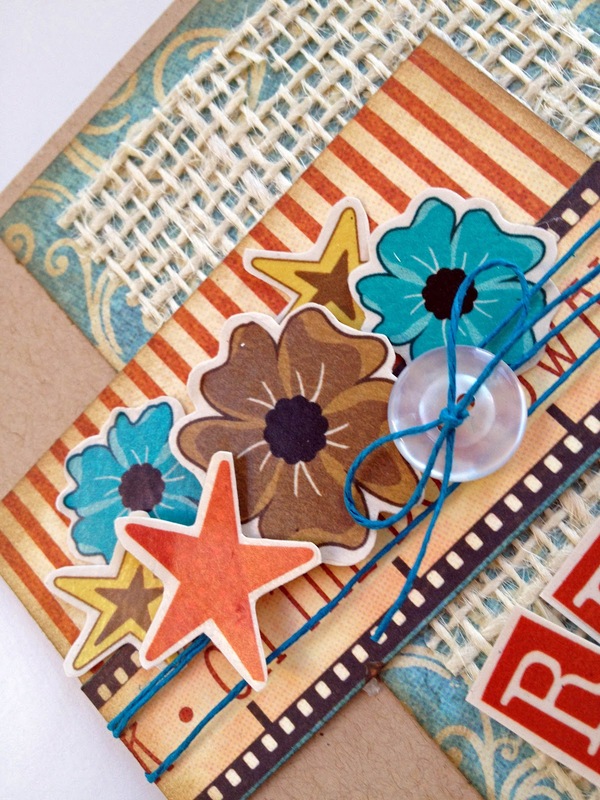 Love your card and love that you die cut the burlap!! Oh i love this...and you took pics with your phone?! Awesome work! Great card with lots of dimension. This is so pretty Liz. I love your style. Liz ~ well I LOVE your card! The colors, stickers and the senitment is just PERFECT! I LOVE the fact you cut your burlap with the die! WOW! I am going to have to try this! Your post was cracking me up ~ sounds like my life right now! But the best aprt is your phone takes GORGEOUS pictures!! WOW! Your sentiment TOTALLY fit your post ~ I just have to start living this way!!! Gorgeous card Liz! Love that burlap banner! 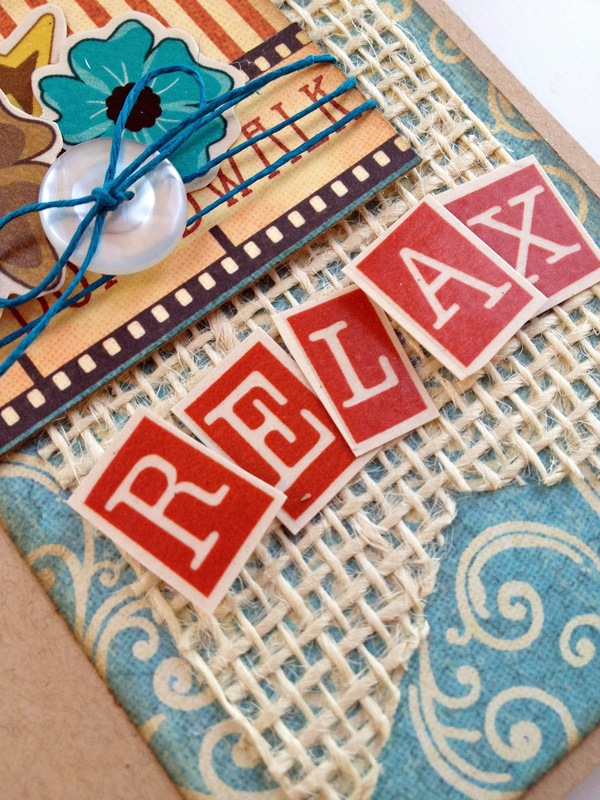 Thanks for the sweet summery reminder to just relax! Perfect for the end of summer or those days where we need a reminder to relax. Lemons to lemonade...perfect project and lesson learned! totally LOVE your fun card!!!! the sentiment is perfect!!! This is so super cute, Liz! I love the burlap tag - it looks awesome! Love it!! You rocked this with all those great colors! 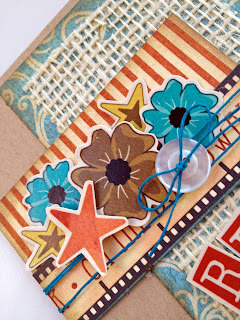 Great card and I love the burlap!! 0824jejePour tous ceux air jordan 5 metallic silver 2016 qui recherchent un peu plus de contrôle et de contrôle, les fers Nike VR air jordan pas cher femme livraison gratuite Pro Cavity donnent plus de distance et de pardon que nike wmns air huarache run femme les fers forgés. Pour ceux qui connaissent Dickies du tout, asics gel kinsei 5 homme vous remarquerez que leurs vêtements de travail et tous achat nike air max 1 essential leurs autres produits viennent dans ce même bleu marine. La nike air jordan 1 retro high nouv bhm semelle extérieure en caoutchouc avec des rainures flexibles offre une flexion sans complication. 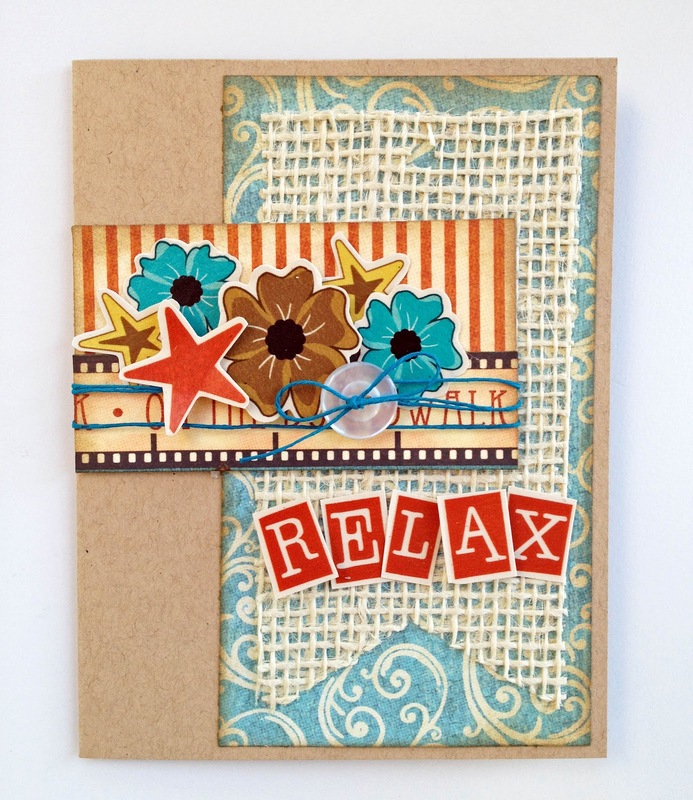 Monday Hop with EAD Designs ~ The Good Life Card! My Creative Time's Scrapping the Little Things! My Creative Time ~ September Sneak Peeks Day 1! 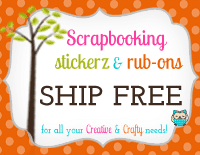 Monday Hop with EAD Designs ~ Cameo Card! 3D Wednesday ~ Treat Bag! Show Me Your Technique Tuesday!